Tom is a graduate of Imperial College in Metallurgy. He worked on a copper mine in Mufulira, Zambia before joining the family foundry business in 1974. The business has grown to be a European/Global leader in the casting of corrosion resistant and heat resistant copper and nickel based alloys. Tom has been Chairman of Westley Group Ltd since his father died in 1989. He was Chairman of Castings Technology International Ltd, based in Sheffield, from 1998 until its sale to the University of Sheffield in 2013. Tom is a Director of the Black Country Local Enterprise Partnership; a Governor of Dudley College; and Director of the Black Country Local Enterprise board, with responsibility for High Value Manufacturing and the Enterprise Zones; and Chair of the Audit Committee. 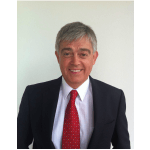 He is Productivity and Skills Board Member and Audit Committee Member for the West Midlands Combined Authority. He is also a Director of WMCA Growth Company Ltd and a supporter of several locally-based charities.